Today, Microsoft has released an update for Pix, its AI-powered camera app for iOS. The app allows users to scan documents, similar to Office Lens. 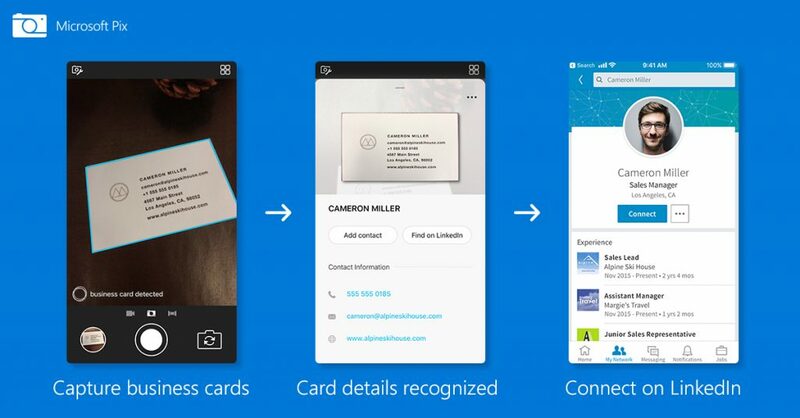 Today’s update expands upon these feature with a new ability to scan business cards. The feature also allows users to save the information from the scanned business card directly to the Contacts app on iOS. Microsoft Pix is available as a free download from the App Store. The app requires any device running iOS 10.0 or later and contains no in-app purchases.